The idea was to demonstrate one potential use of Glass: To show the Glass-wearers' view of thrilling events, like skydiving, scaling down buildings or BMX bicycling. I've thought a lot about Google Glass since then and wrote about it on a few occasions. I have mostly poked fun at the awkward-looking gadget and its wearers. But the fact of the matter is that Google Glass likely marks an important milestone in the evolution of personal electronics. And even though Glass makes its wearers look foolish - except, of course, me; I make Glass look gooood - you're going to hear a lot about in the coming years. Earlier this month, I attended Google I/O again, and this time around I actually got to spend some time with Glass. To be honest, I didn't really even understand what Google Glass was before I/O 2013; I thought it was just a weird-looking camera mounted on some glasses frames. It is. But Glass is also much more. Here are five things that anyone interested in Google Glass need to know. Glass is still in its infancy, and the future of Glass apps largely depends on developers. But if interest at the 2013 I/O developer conference is any indication, Glass users should have access to a wide range of software, including ports of popular smartphone apps. A central idea behind Glass is to reduce the need to actually touch it to launch commands and thereby change the way people interact with electronics. As such, most of Google Now's features can be activated using voice control. The phrase "Okay Glass" serves as a trigger command to prepare the gadget for a command. So, for example, you could say "Okay, Glass, record a video" to initialize its video-recording feature. Or say, "Okay, Glass, Hangout with the CIO.com team," to launch a Google Hangout chat with the CIO editorial team - assuming we let you into our super-exclusive Google+ Circle. Many smartphone users have been using their handhelds for so long that they don't really think about how many steps it actually takes to remove devices from their pockets, type in a password to unlock it, scroll to the application we want and then perform a task. Glass aims to reduce or eliminate the steps needed to perform common actions and keep users' hands free. Many Glass applications and services are designed to be controlled using voice, but the current version of Glass also has a touch-sensitive panel located on its side behind the camera lens and miniature display that runs along the right frame. Some Glass gestures are as follows: tap the touchpad to turn the display on; swipe forward or backward to navigate through your Glass "timeline;" with an item, option or menu selected, tap the touch pad to select the item or expand a menu; and you can swipe down on the touchpad while on the Home screen to turn the display off. Glass can also be activated and deactivated using head movements. The Head Wake Up feature lets you tilt your head upward at a specified angle - you can change the angle in the Head Wake Up settings - to activate Glass and turn on your display. Another quick nod of the head at the appropriate angle turns the device off. Some early applications suggest that Glass may even be able to perform certain tasks without voice commands, gestures or head tilts; the Winky app lets you take a picture with a wink of the eye. 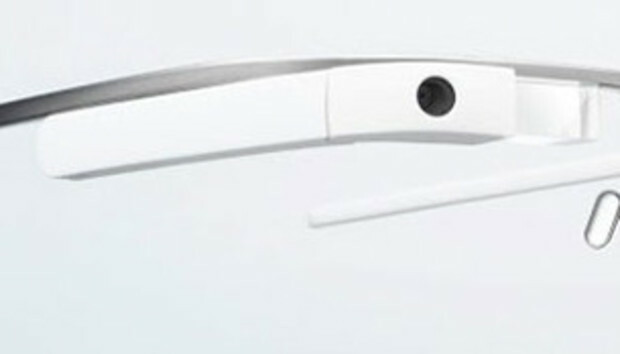 Google Glass looks like a pair of glasses. And it's obviously called "Glass." But it's not really a pair of glasses in the conventional sense; there are no glass lenses in the current Glass frames. But that could change in the future. Right now the purpose of the frames is to simply hold the Glass display and camera lens in a position that can be easily seen and that accurately simulates the wearer's view. Glass makes you look ridiculous, like a wayward Star Trek character on his way back to the U.S.S. Enterprise. There, I said it. But goofy looks aside, the idea behind Glass will almost certainly usher in a brand new era of personal electronics. So by that measure, Glass should be taken seriously. The level of technological evolution seen in the past decade is unprecedented. Smartphones and tablets have changed the world, and changed the way people live and interact with their surroundings. I believe wearable electronics like Glass represent the next step in that evolution. Glass itself may prove to be an unfashionable flash in the pan, but the idea behind it - the ability to use gadgets seamlessly without interrupting physical actions - is one that will very likely change the world yet again. Maybe it will be Glass or some evolution of it that starts the ball rolling. Or perhaps it will be a smart wrist watch, like the rumored Apple "iWatch" or some kind of computer that pins to a lapel or a pocket. Whatever the vehicle, modern electronics are already on the road to wearable smart electronics, and Google knows it. Glass is not publically available yet, but some reports suggest the first official version of Glass will be released before the end of the year with a price tag of less than $1500. Until then, you can learn more about Glass on Google's website.